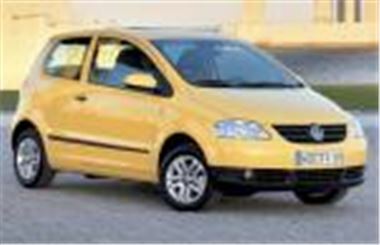 VW has launced its new sub-Polo Fox model with PCP deals, offered until 30th September 2006. Prices start at £6,590 (OTR RRP) for the 1.2-litre and £7,395 for the 1.4-litre. In Urban trim, prices are £7,190 for the 1.2-litre and £7,995 for the 1.4-litre. Until 30 September 2006, Volkswagen Finance is offering all retail customers who purchase a Fox with a Solutions finance package free servicing for three years or 30,000 miles (whichever comes sooner). miles or 12 months; inspection service at 20,000 miles or 24 months; and a lubrication service at 30,000 miles or 36 months. Volkswagen Retailers can provide a service to customers interested in purchasing with finance through Volkswagen Finance. The financial services arm of the Volkswagen Group, Volkswagen Finance supports the retailer network with a range of finance and insurance products including its flexible personal contract plan – Solutions.